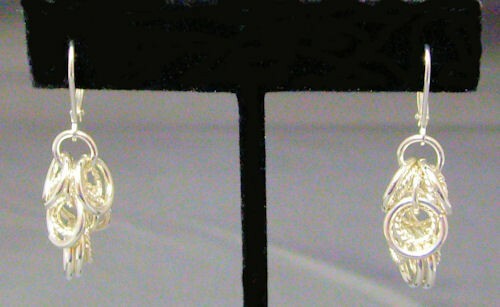 The Sassy Swirl of Rings Earrings are full of texture, circles and movement. They feel quite comfortable on the ear. Check out their companion pieces of necklace, bracelet, pendant and cell phone lariat in their respective kit sections on this website. This is a beginner weave. Sterling silver plated or gold plated leverback earring findings are included in the kit.